Directions: Can be used on both wet and dry hair to create a silky, smooth finish. Apply a coin-sized amount evenly throughout hair, avoiding the root area. Style as desired. 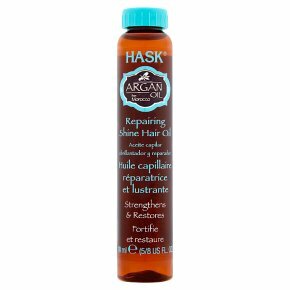 For best results, use the Hask Argan Oil collection.